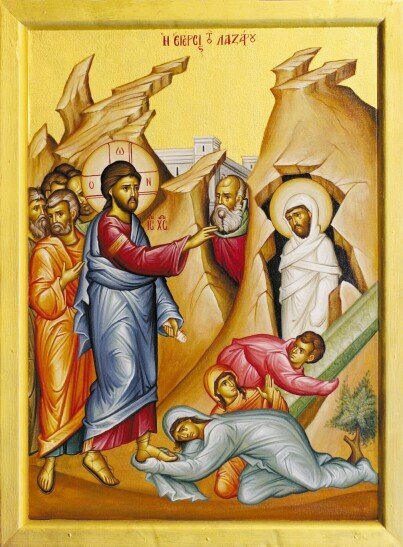 Yesterday’s gospel of Zacchaeus (Luke 19:1 – 10) demonstrates that the narrow door to salvation is found at the intersect of Orthodoxy and Orthopraxis. In Saturdays gospel (Matthew 22:35 – 46) Christ is asked what is the greatest commandment in the law. Christ responds by dividing his answer into two parts: the first part is love of God (orthodoxy) and the love of neighbour (orthopraxis). Christ does not put one in a higher level than the other. Both are necessary for salvation. Notice, in yesterday’s gospel, Christ calls Zacchaeus by name. Indeed, Christ calls each and every one of us by name and invites us to be with him. Whether we accept that invitation joyfully or ignore Christ is up to each and every one of us. In the call and response lies our faith. In that vertical arm from God to man and from man to God lies our Orthodoxy. Love of neighbour represents practical Christianity. You cannot love neighbour without acting to meet their human needs – whatever they may be. In that horizontal response from me to you and from you to me lies our Orthopraxis. Observe that this chief tax collector not only gave half of his goods to the poor but also says: “if I have defrauded anyone of anything I restore it fourfold”. Implicit in that statement is that there is a need for deep reflection upon what we may do in our daily life so as to ensure we have not caused harm to our neighbour by making fourfold restitution of what we have erroneously taken. It is in that meeting of doing the work of Christ in the name of Christ that leads us to salvation. Now, consider this, if the horizontal bar of care of neighbour (Orthopraxis) is placed upon the vertical arm of our faith (Orthodoxy) we get the profoundest symbol of our faith. And that symbol?… Why, the cross itself of course! Once again I am gratified at the response to our food pantry. Please keep up the good work. Remember, orthopraxis is orthodoxy in practice. The ability to name is a sign of authority. In Genesis2: 19 – 20, man, by the grace of God, exercises dominion over creation by giving everything a name. All of us are known by a name, which name speaks for itself (nomen est omen). So when the Lord says: “fear not, for I have redeemed you; I have called you by name, you are mine” (Isaiah 43:1) how can we ever consider ourselves as belonging to anyone else?